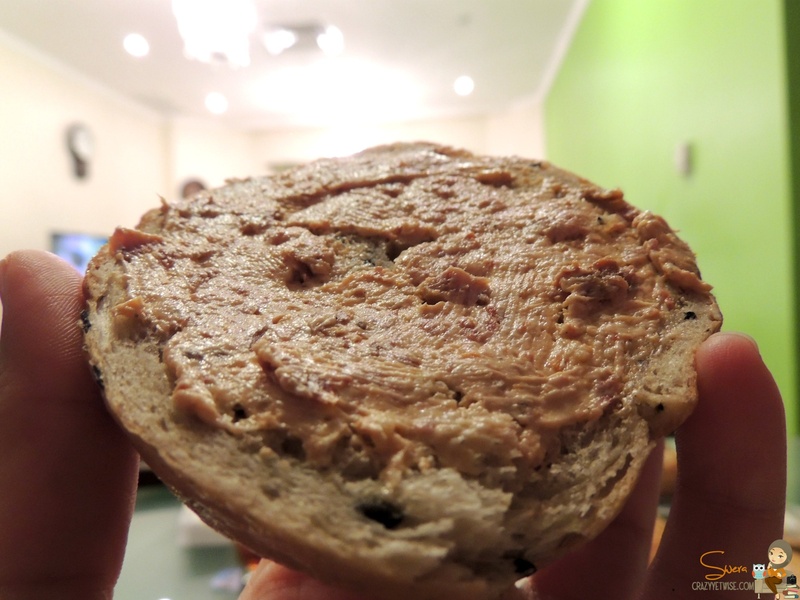 Bagel business in Kuwait is very rare, I’ve heard about Heavenly Bagel & Bagel, but I decided to try Bagel it first because they come plain with spreads unlike Heavenly Bagel they come as in sandwiches. I ordered a day ahead & the order arrived exactly on time or maybe earlier a bit. They were fresh & neatly packed. 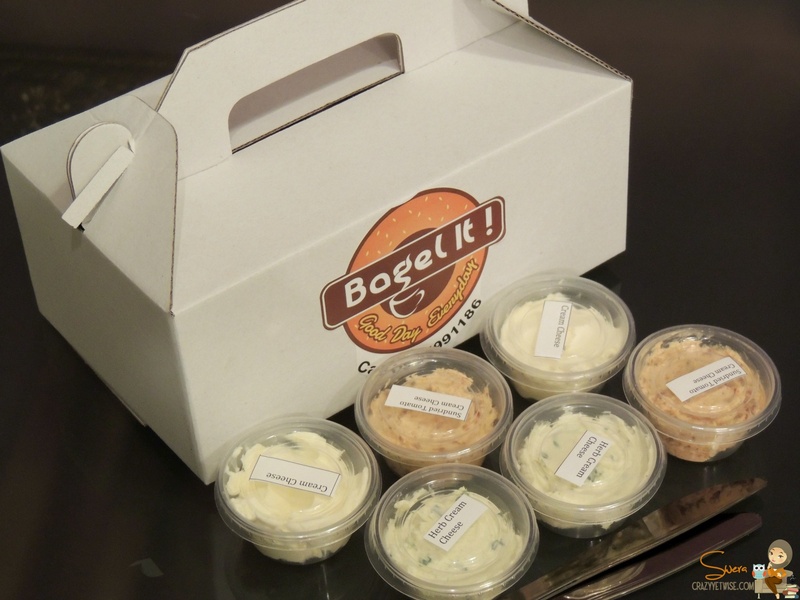 Each bagel comes with it 1 kind of spread (your choice). 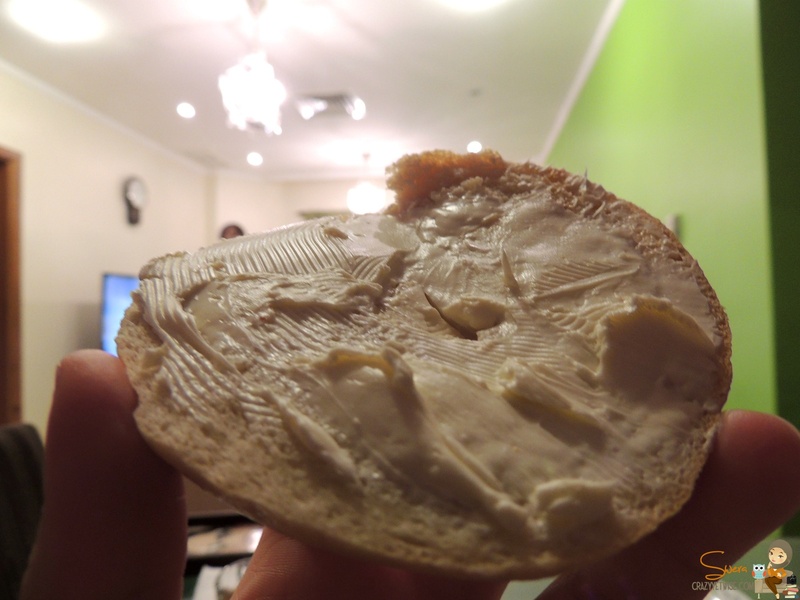 I chose Herb Cream Cheese, Sundried Cream Cheese & Plain Cream Cheese. 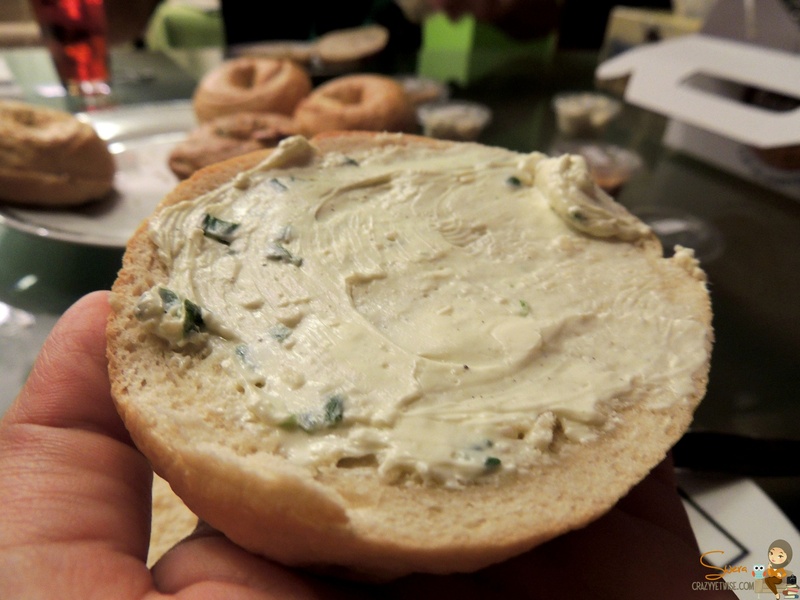 My fav is the Herb Cream Cheese, comes after it the Sundried one. 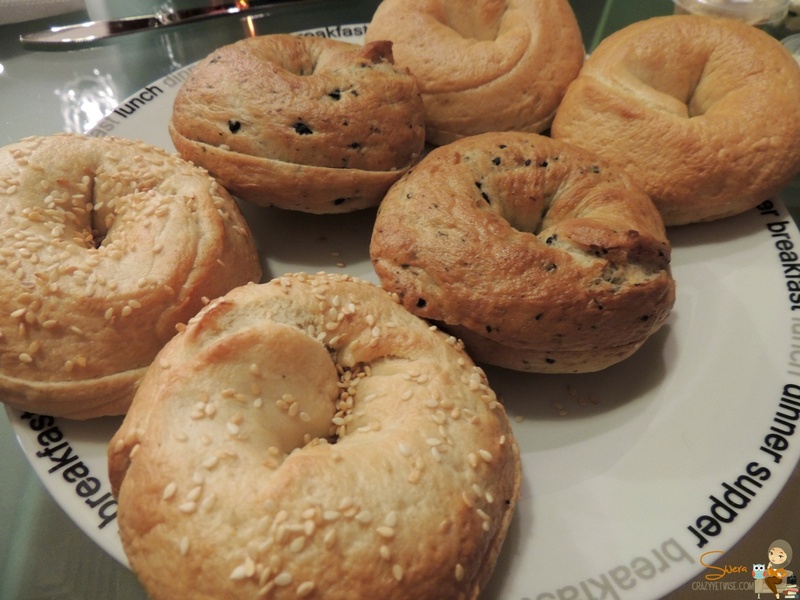 The bagels were delicious & fresh loved them. 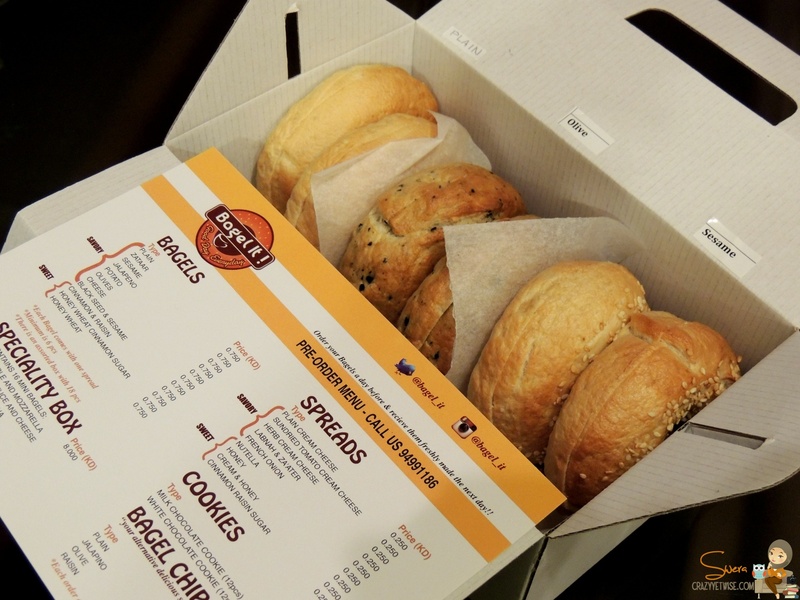 My only complain is the prices, I think the bagels are overpriced 0.750 per piece & that the minimum order is 6 pieces. But honestly, I loved them & will def order from them again!